After some setbacks in the 1980s and 1990s (reduction of DDT use, resistances against common anti-malaria drugs), there is again progress in the fight against malaria. There are significantly more funds available to combat malaria, new drugs are becoming available and the discovery of insecticide-treated bednets (ITNs) has lead to renewed malaria prevention. Several large-scale studies have documented the beneficial impact of ITNs on malaria disease and on child-mortality. 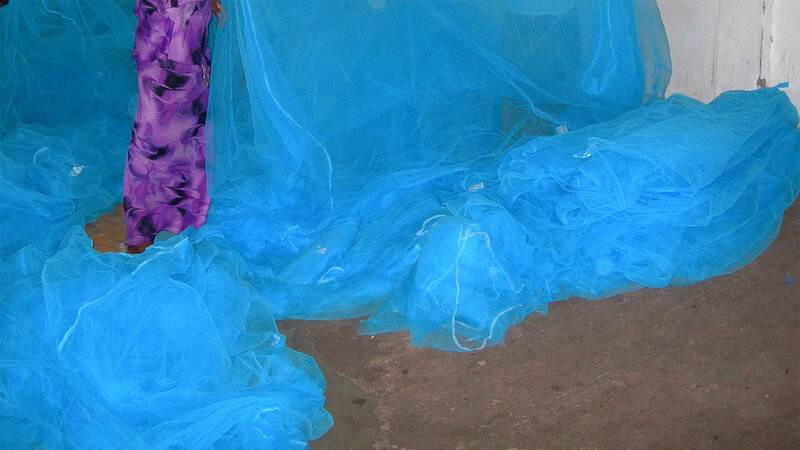 b) they kill the mosquitoes which touch the netting and thus reduce their number drastically. This second effect has also a strong community impact, as those people not sleeping under a net are benefiting as well. Overall, more than half a million deaths could be avoided every year if most children in sub-Saharan Africa could be protected. With numerous studies showing such positive results, how could a successful dissemination strategy be implemented? Is it simply a matter of distributing free bednets to everybody in the same manner as for example vaccines are given out for free in clinics? Should dissemination focus on the most vulnerable groups (namely children under five years) or target the whole population? Is there a need for a more holistic programme including community health and awareness creation? These were some questions raised by research teams and early implementers. These questions also pointed out the importance of distinguishing between efficacy and effectiveness of a public health intervention: while scientific studies had shown the efficacy of ITNs under very controlled conditions, there was uncertainty that the same interventions would also be effective under real-life delivery conditions.